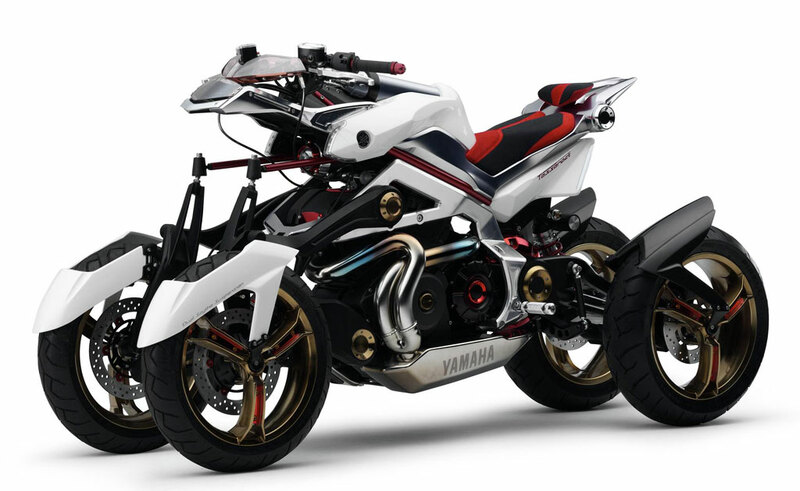 Yamaha Confirms Leaning Multi-Wheeler for 2014 – Will the Tesseract Concept Finally Become Reality? 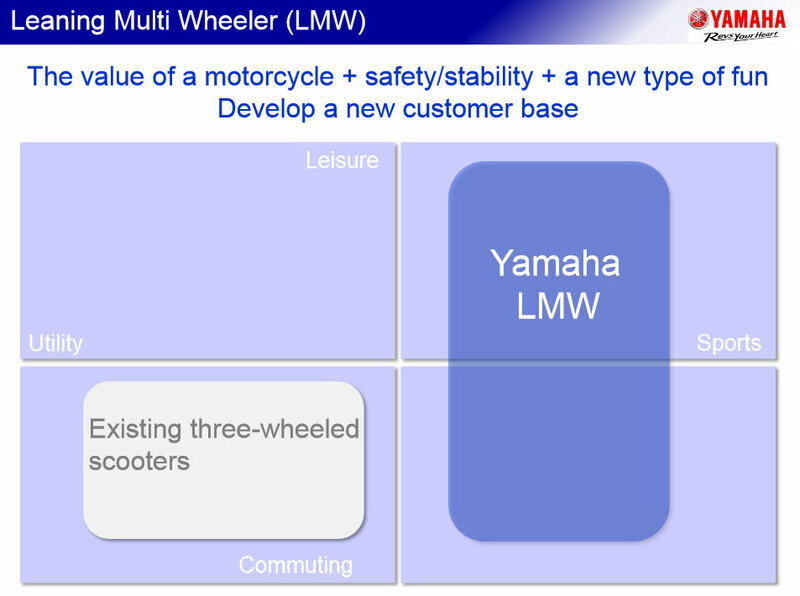 Yamaha confirmed it plans to introduce a new Leaning Multi-Wheeler (LMW) vehicle for 2014. 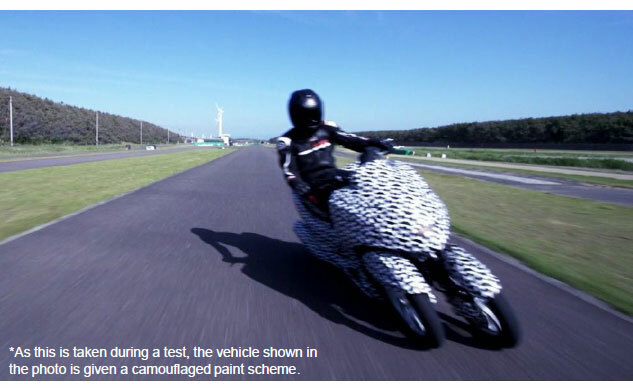 An accompanying image of a test unit in camouflage reveals two closely-aligned front wheels beneath a broad fairing. 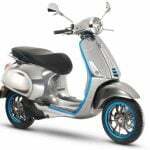 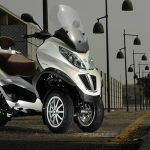 With at least one more wheel than a traditional motorcycle, the LMW will offer improved safety and stability while it’s tilting mechanism will allow it to lean into corners like a two-wheeler. 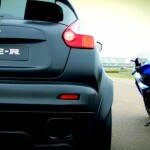 Yamaha claims the LMW will be lightweight and compact with good handling, further contributing to its sportiness. 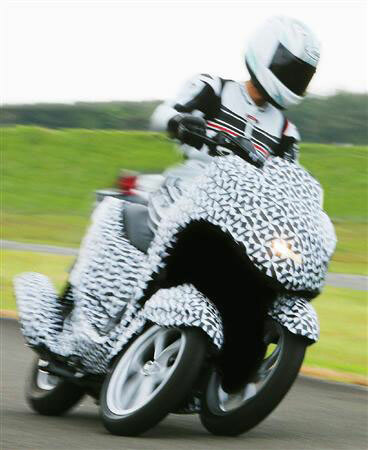 The Tesseract was one of the highlights of the 2007 Tokyo show, combining the form of a sports quad with sportbike styling. 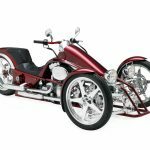 The LMW looks to be quite a bit less radical than the Tesseract with a large fairing and thinner front tires and a single rear wheel. 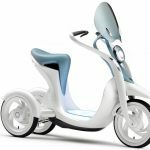 Hiroyuki Yanagi, president and chief executive officer of Yamaha Motor, tells MSN the LMW will be priced at 1 million yen (US$10,000).